“Those 50 million shekels are to cover the deficit we have accumulated in previous years. What about this year and next year and the year after that? What they are giving us is peanuts,” said Haifa Najjar, Nazareth Sisters school elementary principal. 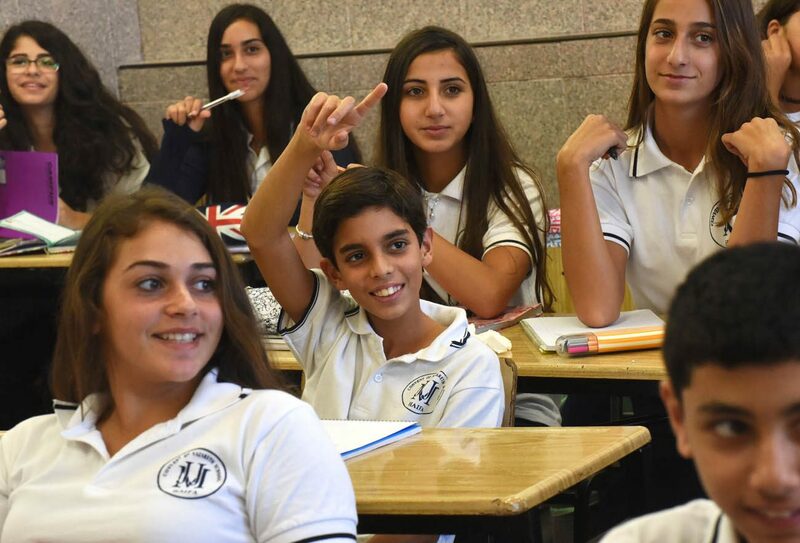 Father Abdel Masih Fahim, general secretary of the Office of Christian Schools in Israel, said the $13.3 million will do little more than delay the collapse of the Christian schools for one year. In a statement before the start of this school year, he called on the government to decide on an annual fixed sum for the Christian schools to compensate for the drastic cuts or to create a new legal status for the schools to ensure sufficient funding while taking into account their unique character and educational service. The Sisters of the Holy Family of Nazareth have been educating Christian, Muslim and Druze since 1858. Jewish children also attended the school until 1971, when it switched over from the British academic system, taught in English, to the Israeli system for Arab students, taught in Arabic. Dotted with palm trees and overlooking the bay in Haifa, the school campus includes the convent and chapel building that was built in 1912 by the founders of the French order, as well as two newer buildings housing classes for some 1,500 students in preschool through 12th grade. His students — 80 percent of whom are Christian — received an average grade of 96 percent on the standardized matriculation exam required of all 12th graders, compared to the 65.5 percent national average. One of the school’s graduates is Johny Srouji, senior vice president for hardware technologies at Apple in the United States. Though they are accredited by the state, the Christian schools fall under the category of “recognized but unofficial schools.” Like ultra-Orthodox Jewish schools and charter schools, they are not part of the state school system. This type of school normally receives 75 percent of its funding from the state, while tuition from parents makes up the remainder. The schools have increased the tuition charged parents, but last year, in an attempt to equalize the school system, the Education Ministry tightened the restrictions by further imposing a limit of some $3,500 that parents can pay for the extra tuition. In response to emails the Ministry of Education said it could not comment. In the past, officials have said that Christian schools are funded on an equal basis as all recognized unofficial institutions in Israel. However, the ultra-Orthodox schools have retained their government funding. Najjar said her school has had to cut down on extra tutoring hours for students with learning difficulties, enrichment programs, field trips and extracurricular sport activities, among other things. Parents pay for field trips, though the school covers the expenses for those who cannot afford them. It is becoming more difficult to provide scholarships for needy students, she said. Teachers’ pensions and benefits have been compromised, and they must pay for any extra professional seminars, which public school teachers receive for free from the Ministry of Education, she said. 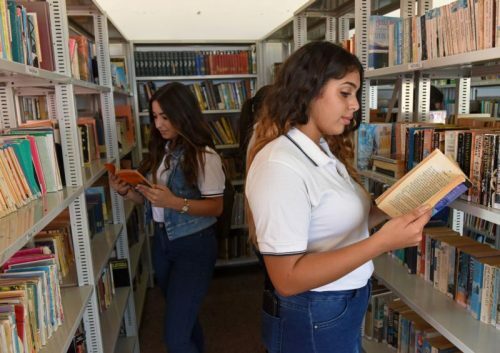 Najjar said that, like many other Christian schools, hers has depended on funds from outside for upkeep and expansion, but with conflicts in Iraq and Syria and elsewhere in the world, donations from abroad have dwindled. While the charter schools are also struggling with the budget issues, some of them have decided to become completely private and have the parents pay the entire tuition. This is an option the Christian schools do not want to take because they do not want to become schools for only the wealthy elite, said Jammal. “We want to help the community. That is our mission, to serve without discrimination to rich or poor,” he said. Marta Sheety, 17, said her Christian school is the one place where she feels she can fully express her Christian identity. Her education at the Nazareth Sisters school is giving her the tools to contribute and flourish in Israeli society as a proud Christian, she said. The constant budget cuts are like a stab in the heart for her, she said.